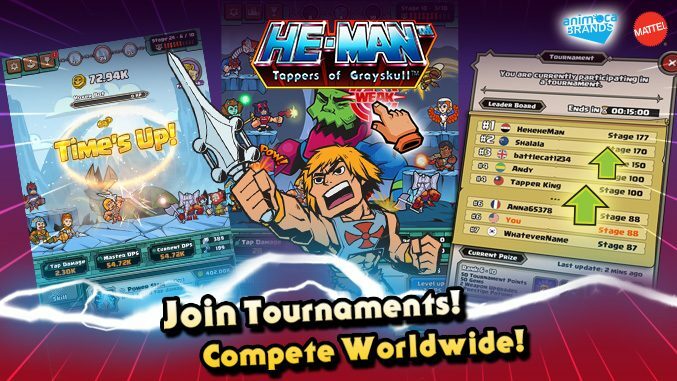 HomeGamesHe-Man Tappers of Grayskull – Tournament Mode Update! 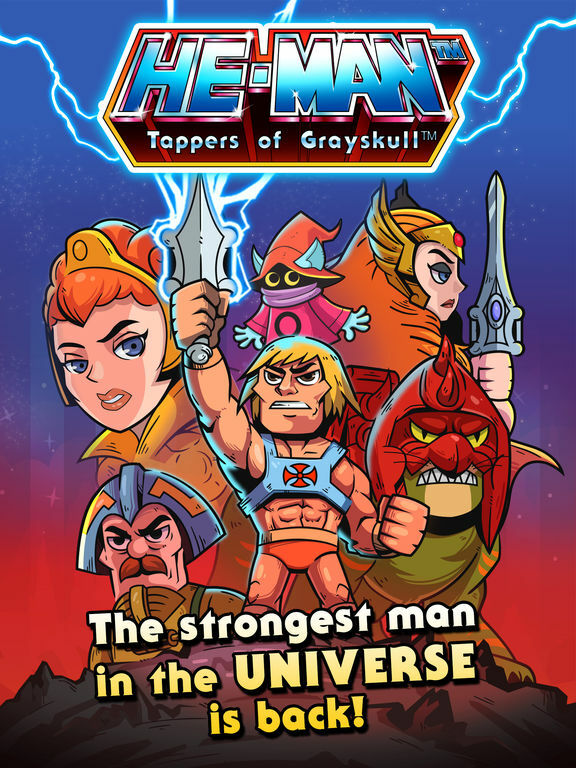 He-Man Tappers of Grayskull – Tournament Mode Update! Brace yourselves for the most powerful update in the universe! 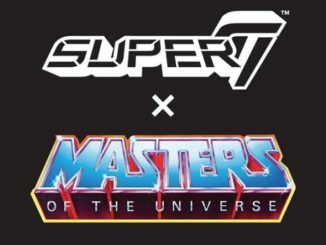 This update is a big one – there are new features like the tournament mode, as well as some new customization features for He-Man! The tournament mode will run twice a week, and each tournament will last for 24 hours. 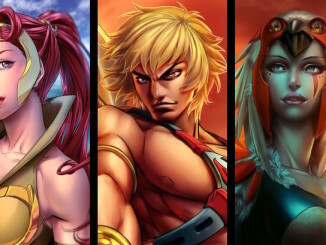 The way it works is players must time travel once they enter the tournament, resetting their stages, masters and skills, but keeping their artifacts, keys, and gems. This ensures that players all start on relatively equal footing. Then for the next 24 hours, players must compete against each other to come out on top by reaching the highest stage/level they possibly can. There are around 100 – 200 players to a room, but don’t worry, a new room will open automatically if one fills up. There are exclusive prizes that you can earn from the tournament, such as medals and Master weapons. 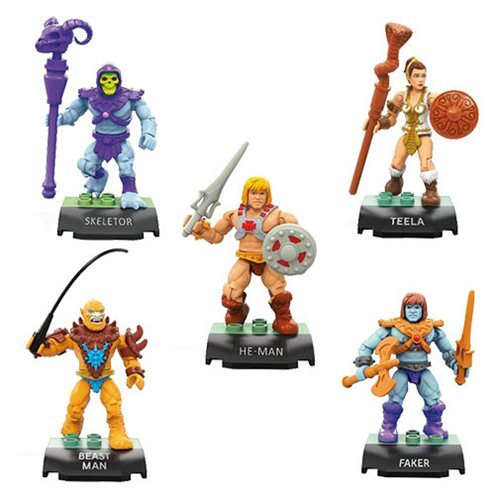 You can collect medals and use them to purchase special gear for He-Man, based on the famous He-Man toy variants such as Jungle He-Man and Armour He-Man. 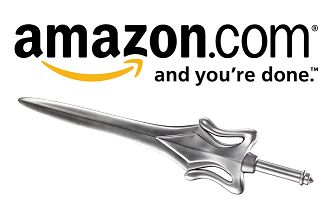 Winning and collecting certain Masters’ weapons will also increase the damage that respective Master does. You can also win Gems and Time Travel Potions (which gives bonus keys earned each time travel) as well. Lastly, there are new He-Man Christmas-themed stickers, with more than ten added to the collection. Get them on the App store for iMessage! 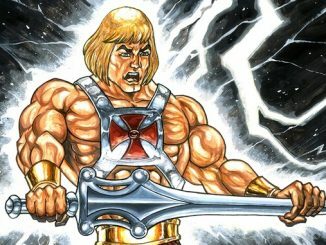 Pop Culture Shock: He-Man Life-Size Bust Giveaway Contest! Limited Edition Dorbz She-Ra from Funko!